Insurance Company With a Sense of Humor? Young man making money for his family by selling Krolan. 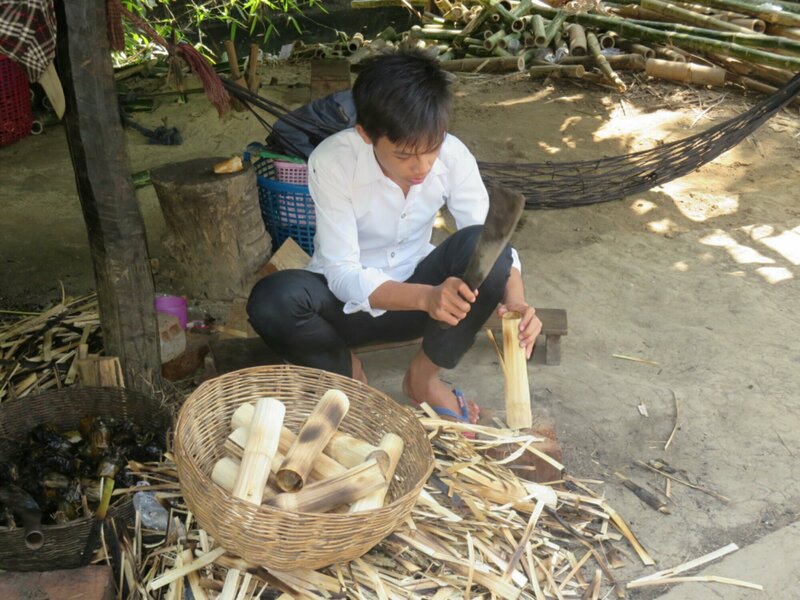 It is a wonderful concoction of rice, beans, coconut milk and just a little sugar packed into a bamboo tube and set over the fire for about an hour. We had tried it when in Siem Reap but our Battambang driver said with considerable pride that his region had the best and we had to agree. To eat, you peel back the bamboo in strips and pull off a chunk of sticky rice – a real treat.